As a geographical notion, the Ural is a mountain range separating Europe and Asia, which stretched from south to north to over two thousand km from the steppes of the Orenburg Region to the shores of the Kara Sea. However, our Directory refers to the Ural a number of Cis-Ural regions (Orenburg, Chelyabinsk, Kurgan, Sverdlovsk and Perm regions) and also Bashkiria and Udmurtia Republics. 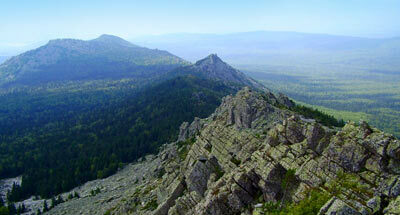 The Mountain Ural massif is generally divided into southern, middle and northern. The territories adjoining the Ural from the West are referred to as the Cis-Ural Region (Preduralye), and on the east, the Trans-Ural Region, which turns into Western Siberia. 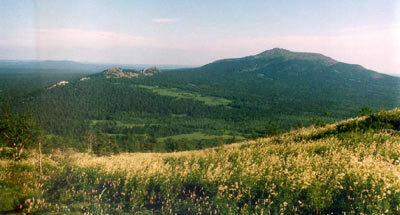 The Ural comprises several landscape categories: forest-tundras, coniferous and mixed forests (taiga), forest-steppes and steppes. This is complicated by vertical zonality, although the very ancient mountains of the Ural never exceed an altitude of 2000 m nevertheless, typical mountain tundras occur there; and Alpine flora and fauna elements can be found. The Ural Range, separating the water basins of the Volga and Ob rivers gives rise to numerous tributaries of these rivers: flowing westward are the Vishera, Chusovaya, Belaya, and Ufa; the rivers flowing eastward, are the Severnaya Sosva, Pelym, Tura, and Iset. Rising in the north is Pechora, which flows to the Arctic Ocean, and on the south, the Ural River flowing through Kazakhstan to reach the Caspian Sea. It is not accidental that the ancient Ural is called the keeper of riverheads, and its role is very important because the entire Region (except some areas in the south and in the north) are densely populated. The role of the Ural as the "smithy of Russia", its primary industrial region, is well known. This is exceptionally determined by the richness and diversity of its natural resources — from gold and precious stones to vast resources of oil, coal, iron ore and the ores of nonferrous metals. This is an area of large plant cities (almost all the republican and regional centers and also such cities as Miass, Zlatoust, Nizhnii Tagihl, Omsk, etc. 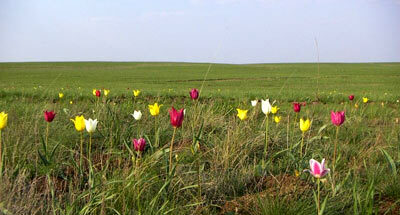 ), metallurgy and machine-tool projects, various military plants. Hence, the nature of the Ural has been exposed to a somewhat heavy impact. 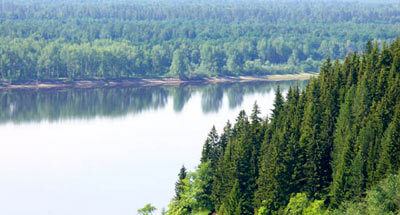 The present-day Ural forests are essentially derivative, but they retained their original properties, and are rather diverse in terms of composition. The same applies to the wildlife. 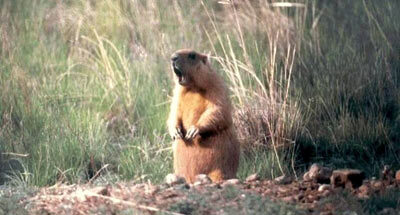 But many wildlife species had to move. In fact, as early as the middle of the 19th century reindeer ranged south to the border with the Orenburg Region, while nowadays it has been retained only within the northern and polar Ural. The sable and river beaver, destroyed as early on the verge of the 19th and 20th century occurred in the south to the boundaries with the Orenburg Region, while today they have been restored thanks to strict protection and re-acclimatization. There is a common view that the Ural is an insurmountable barrier between the European and Asian fauna, but this view has been refuted by zoogeographers. Numerous "Siberian" species, for instance, the sable or the taiga bird nutcracker, penetrate through the Ural Mountains to the northern Cis-Ural Region, whereas the typical dwellers of the European complexes, including the European hare, the European polecat, mink, etc. 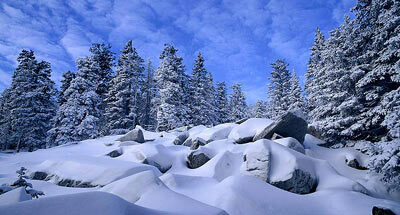 penetrate Siberia, east of the Ural. On the whole, the wildlife is mixed, featuring the characteristic dwellers of respective landscapes: the brown bear, moose, squirrel, capercaillie, hazel hen in the taiga and mixed forests; the roe deer and ermine in the forest steppe; marmots, sousliks and jerboas, in southern steppes. Until recently, there dwelled the great bustard and the little bustard, which have now become rare. Until the middle of the 19th century one could encounter in the steppe herds of tarpans, the wild horses. The saiga antelopes dwelled there until the early 19th century. Of greatest importance among the fur-bearing mammals of the Ural, have until recently been the stone marten, the European and Siberian polecats; and, in the open landscapes, the fox, and also the mole, whose harvest almost discontinued during the last year. The muskrat acclimatized there in the 1930s has become a mass dweller of the forest-steppe zone with it abundant water bodies, e. g., in the Kurgan Region. In the 1950s-1960s there existed some muskrat fur farms. Today its numbers have sharply declined due to the depletion of forage resources. Early in the 20th century, many forest game and waterfowl were taken, which is now an object of sporting hunt.